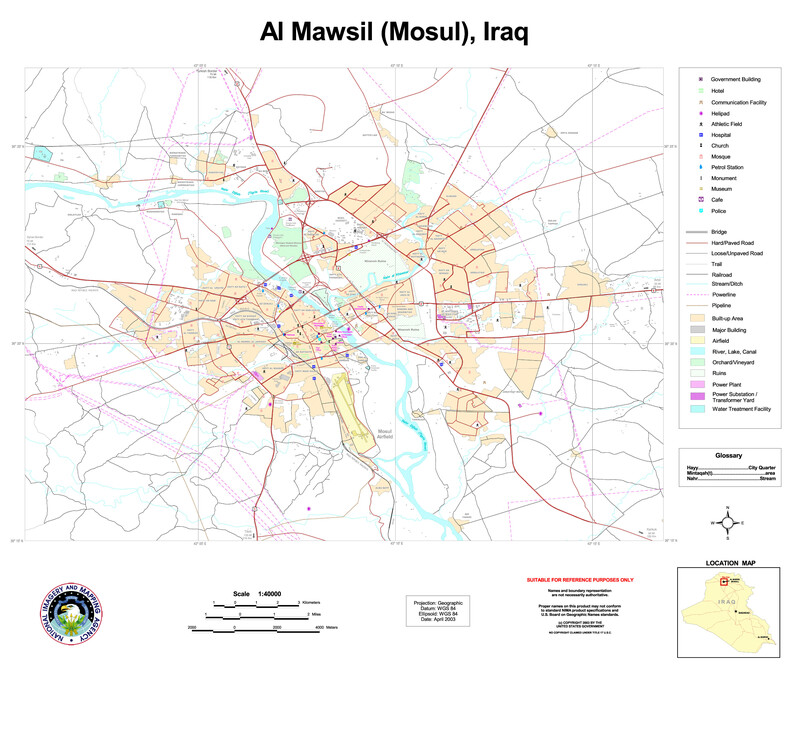 Mosul (Arabic: الموصل al-Mawṣil; Syriac: ܢܝܢܘܐ Nînwe; Kurdish: Mûsil/Nînewe; Turkish: Musul) is a city in the north of Iraq. More than a million people live there. "Mosul". Edinburgh Gazetteer (2nd ed.). Edinburgh: Longman, Rees, Orme, Brown, and Green. 1829. http://books.google.com/books?id=dvFCAAAAcAAJ&pg=PA470. Edward Balfour, ed. (1871). "Mosul". Cyclopaedia of India and of Eastern and Southern Asia (2nd ed.). Madras. http://www.archive.org/stream/cyclopaediaofind02balfuoft#page/990/mode/2up. "Mosul". Encyclopaedia of Islam. E.J. Brill. 1934. p. 609+. http://books.google.com/books?id=fWNpIGNFz0IC&pg=PA609. ArchNet.org. "Mosul". Cambridge, Massachusetts, USA: MIT School of Architecture and Planning. http://archnet.org/library/places/one-place.jsp?place_id=1944. This page was last changed on 8 October 2014, at 19:24.